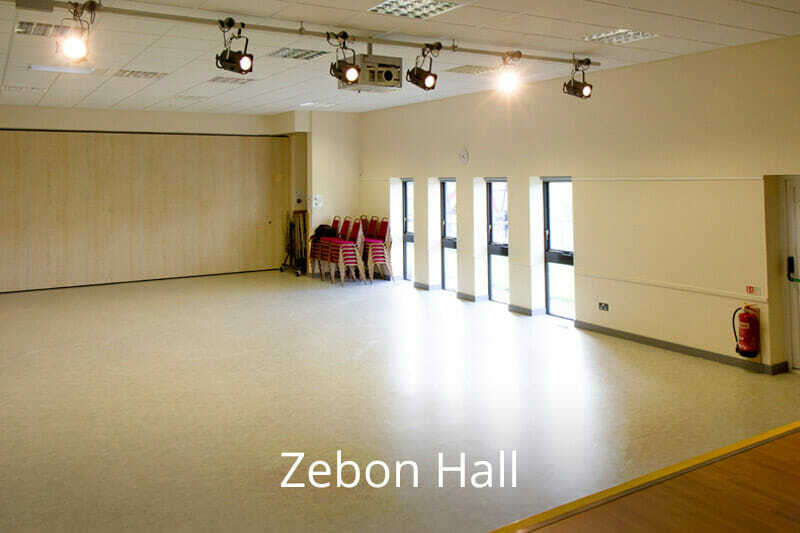 Zebon Community Centre has two main halls, both with natural daylight and full black-out facilities. 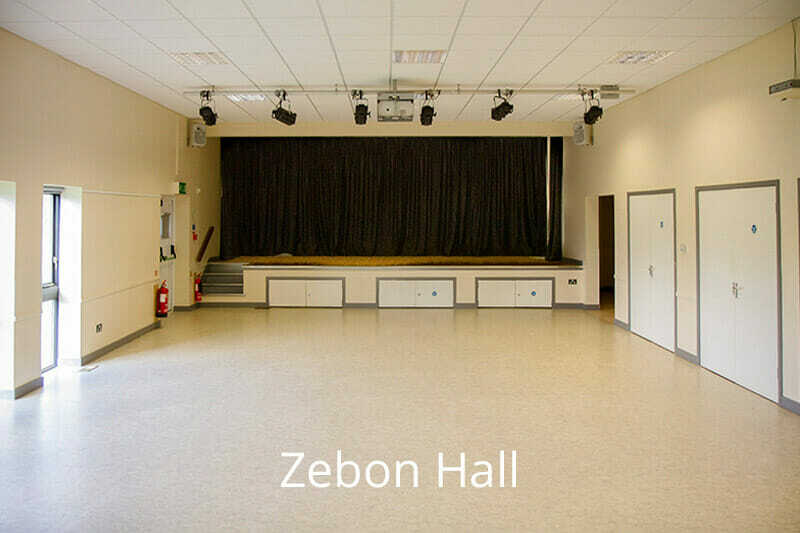 Zebon Hall has a stage with lighting and comprehensive AV facilities. 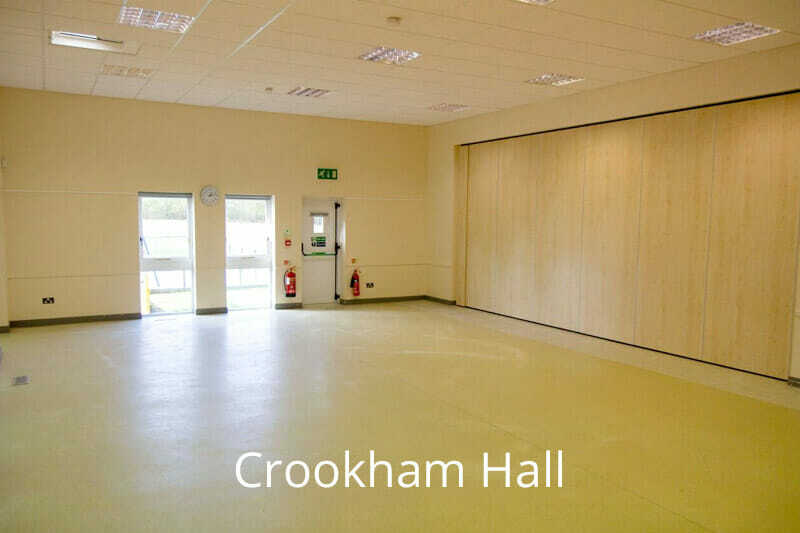 Crookham Hall has direct access to the kitchen and also has dedicated toilet facilities to enable users to be completely self-contained when the Zebon Hall is in use by another group. 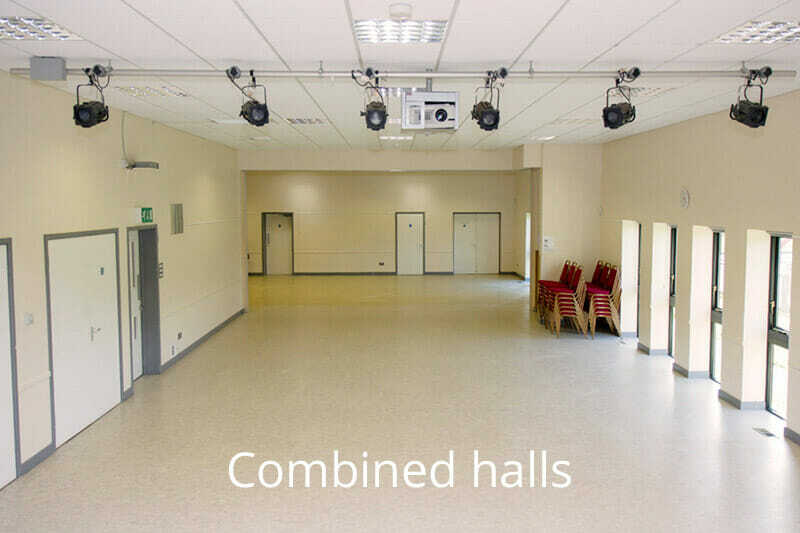 The two separate halls can be combined into one large ‘L’ shaped hall by retracting the acoustic (sound-proof) partition between them. Please see the example floor plans below. 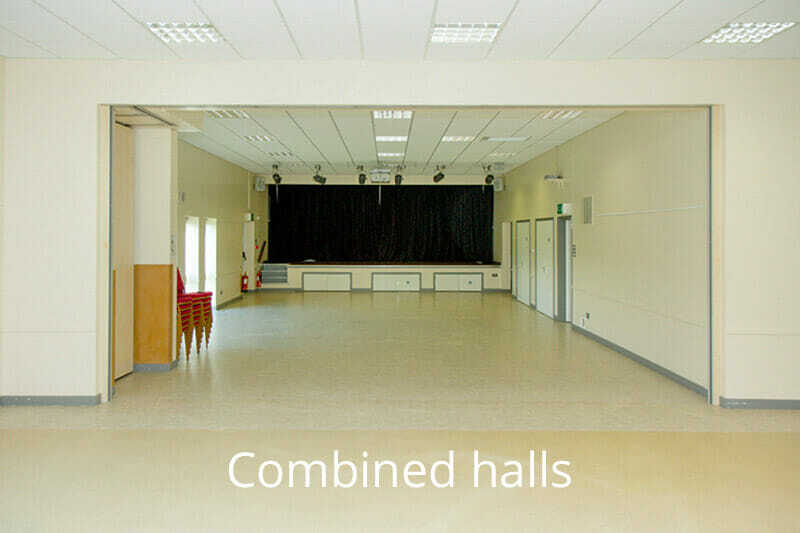 Ceiling height within the halls is 3.3m approx. 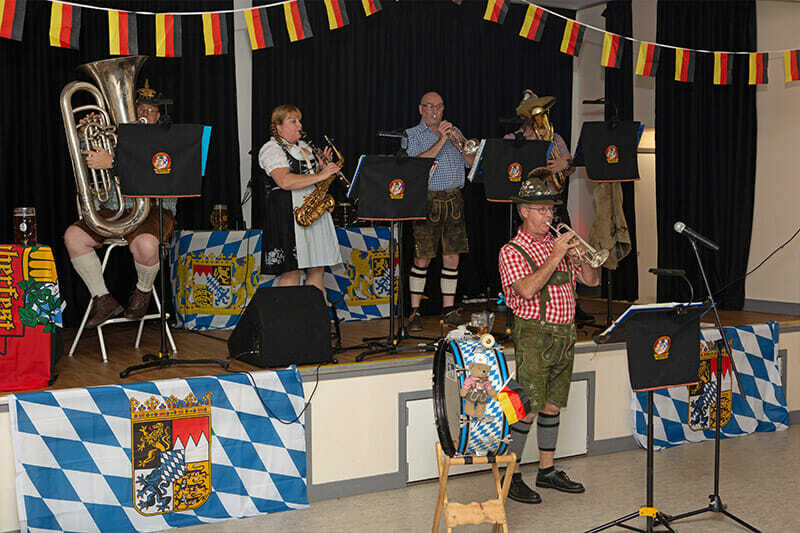 A portable PA system is available. 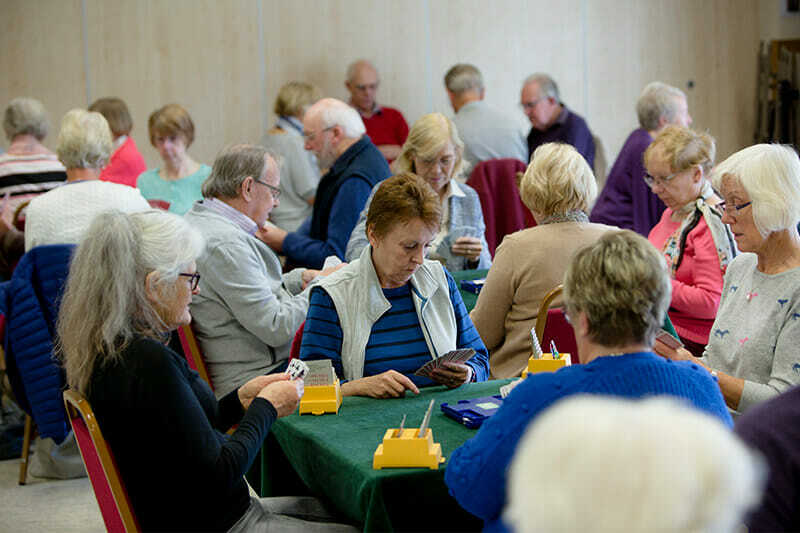 The Centre is equipped with 29 tables (each 180 x 75cm) and 128 chairs. You can confirm how many you may need on the Booking Enquiry form. Free WiFi internet access is available throughout the premises. 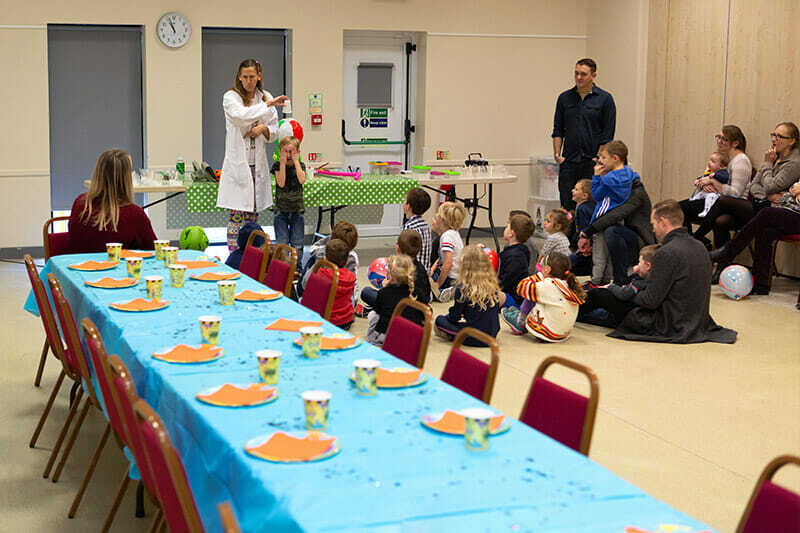 Capacity for the halls depends on the event you are planning and layout required. If you need guidance please discuss with a Centre Manager. There are a few example layouts below under ‘Layout Ideas’. 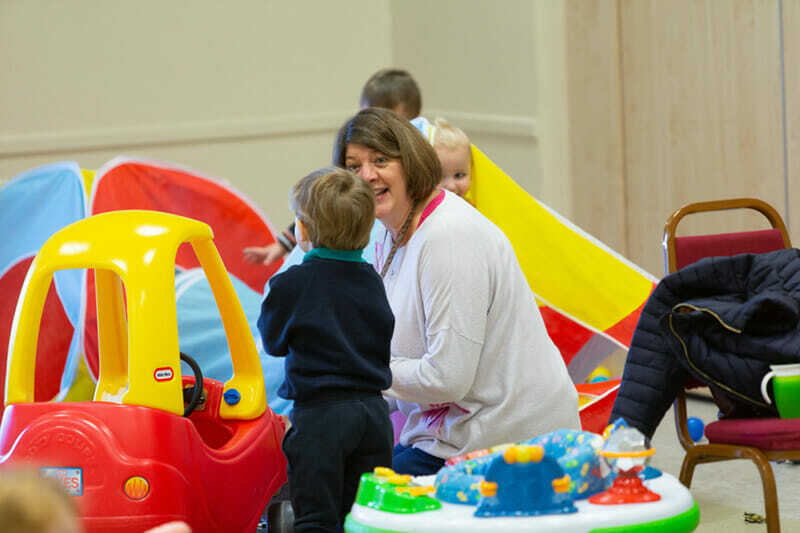 If you have any questions, please use our contact form or call 01252 615003.